Use the detours that derail you, to drive you. Step to Success: A step to your success is anything that moves your life and your business forward. Whether it’s an app, a book or an idea, you can apply something today that can help you succeed. Today’s step to success involves several things. It is important to get a proper money mindset and I answer a question from dancer/choreographer/educator Mary Roberts on this subject. A great book on this subject as it pertains to dance and any art form is called Real Artists Don’t Starve by Jeff Goins. Dancer’s Dialect: The Dancer’s Dialect is the dancer’s language. I share dance terminology and concepts across different genres so you can see the correlations in your life and in your business. Today’s generic tramadol no prescription concept is grouping like items together. Freestyle Flow: My recent trip to a threading salon tests me on the importance of being engaged and present. 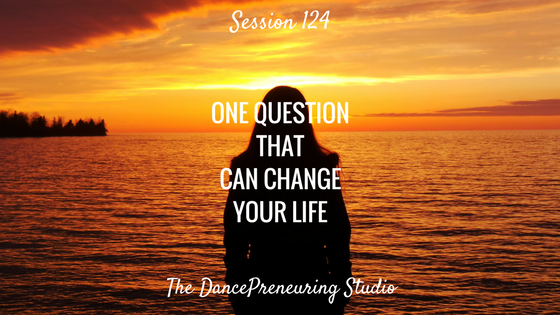 Feature Presentation: One question that can change your life is this: “What does this make possible?” You will be encouraged if you ask yourself this question as you are going through challenges.